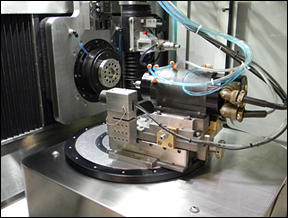 Ultra-Precision Aspheric Grinding System. 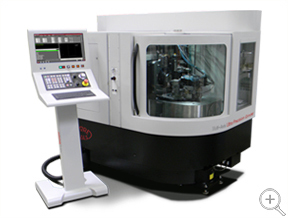 The Nanotech 100UPGv1 is an aspheric ultra-precision grinding system specifically engineered for grinding of Tungsten Carbide and Silicon Carbide aspheric optical mold inserts used in glass press molding as well as grinding of aspheric glass lenses. It is also suitable for single point diamond turning of symmetric optical components. The system is available in either a XZ or XZB configuration. It provides a 100mm diameter swing capacity for grinding applications and a 250mm diameter capacity for diamond turning.